In July 2010, Christian and I had a conversation about finding ways to bring people together online to connect, collaborate and learn more about topics in hospice and palliative care. We had seen some fascinating discussions with #hcsm, the health care social media community and decided to launch the #hpm chat as a weekly interdisciplinary discussion of issues in hospice and palliative care. I never imagined how this idea would develop into such a vibrant community where caregivers, doctors, nurses, social workers, volunteers and people with a variety of experiences have joined in to discuss topics on our weekly conversations. The healthcare hashtag project launched that Fall which bloomed into an awesome resource for learning about various healthcare communities, conferences and conversations. 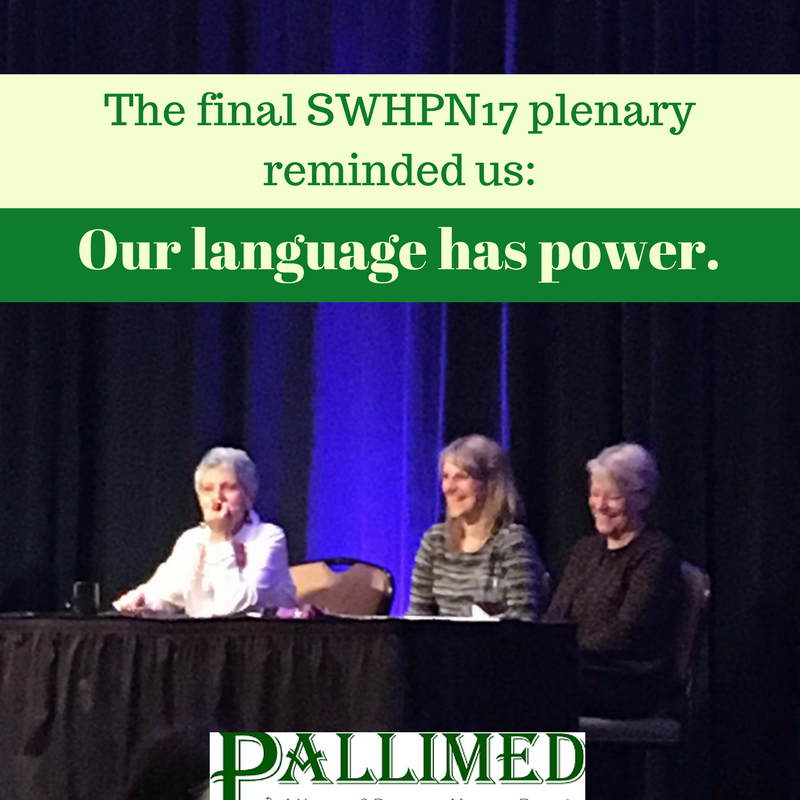 The #hpm chat community taught us early that online communities are powerful, meaningful and had impact beyond online relationships. What often started as a “Twitter Buddy,” turned into cross-border (and cross-specialty) friendships that may have started on online, but eventually, led to phone calls, dinners, parties, coffee meetings and rich dialogues about ways we can work as a community to advance public understanding of issues in #hpm as well as drive progress within the field. The relationships that have been built over the years have been well beyond people specializing in hospice and palliative medicine. I have fond memories of hopping on the phone with Jody Schoger about the importance of #hpm and #bcsm (the breast cancer social media community) and how energized we were about gathering with people that shared our passions online. This of course is just one example of someone who started as a Twitter buddy, which evolved into someone who, for years, would jump on the phone and engage in lively discussions about how we can make sure attention is given to the human experience of care. I had the benefit of having our phone calls evolve into a few dinners each year at various events and this friendship is one of many relationships that I cherish, and can credit to engaging online around issues in hospice and palliative care. It has been absolutely incredible to see the development of healthcare communities online, and of course, to see how #hpm has evolved and grown over the years. For some data on this, below is a quick overview of the number of Tweets and impressions generated each year on the #hpm hashtag. While I know in his last post, Christian did a call out to the organizers that have worked behind the scenes with the #hpm chat over the years, I have to echo this and give another major thank you to the AMAZING people that have hosted, given topic ideas and especially to the people that have been #hpm organizers. 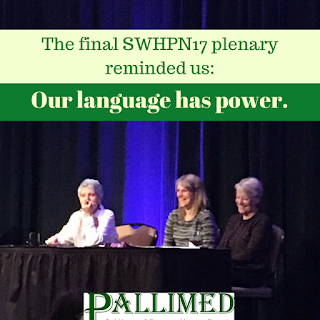 What many people don’t always see is the incredible amount of planning, coaching and behind the scenes work that these #hpm power organizers have dedicated to making this community what it is today. So thousands more special thank you's to people that have played a major role in organizing the chat over the years, Alicia Bloom, Meredith MacMartin, Ashley Deringer and Niamh van Meines, and of course #hpm cofounder Christian Sinclair. After six and a half years of hosting the chats weekly and over 300 live discussions, we recently took a couple of months to take time to reflect, and plan for innovative ways to structure conversations about hospice and palliative care. We wanted to make sure we were thinking creatively about new ways to raise the bar for content, discussion topics and making these conversations more accessible to people that are not active on Twitter. We have received a lot of feedback about how meaningful the community has become to people. 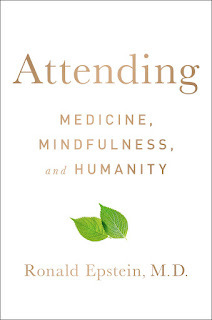 Many people see this as a form of self care, because in our local communities we may not have as many neighbors that are passionate about discussing the latest articles, policies and experiences with advance care planning, early palliative care, centering healthcare around the goals of patients and families, as well as hospice and end of life care. Online, however, regardless of location, the #hpm chat has been a staple for the enthusiastic group of people who are passionate about designing a better experience for people facing serious illness. As Reid Hoffman, has often stated, we “found our tribe.” As organizers, we share this strong sense of purpose and enthusiasm with the #hpm chat community and appreciate the everyone’s patience as we’ve taken a short break to think creatively about planning for the chat’s future. 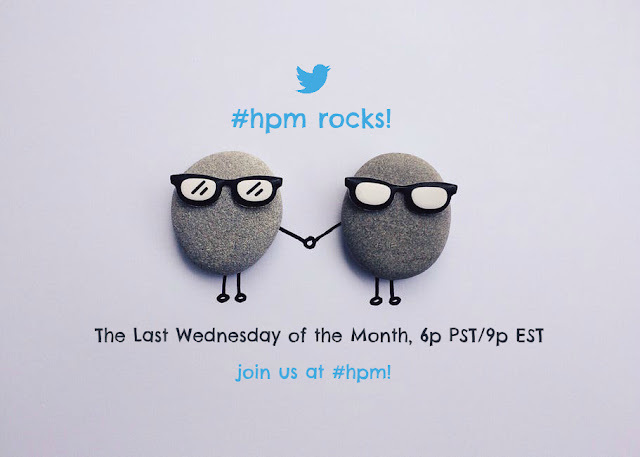 What’s Next for the #hpm chat? 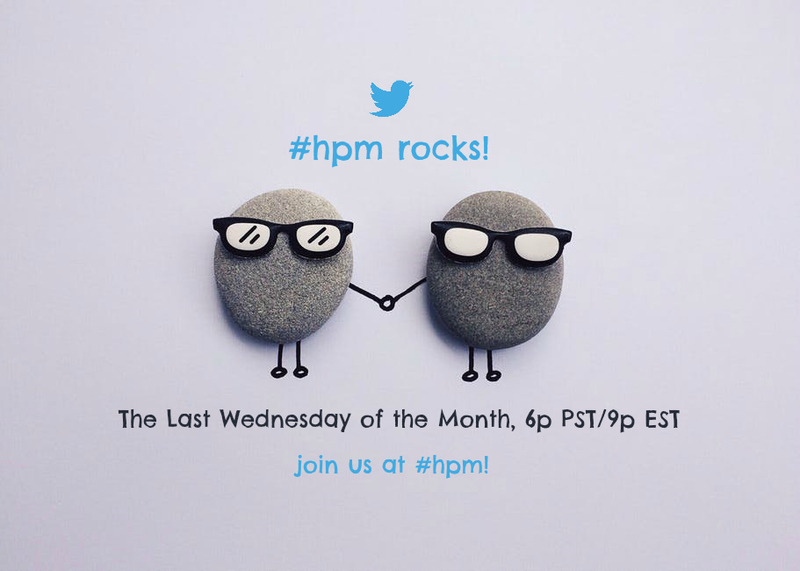 We’ve decided that for the remainder of 2017, we will be moving from weekly chats to facilitating the #hpm chat at 6pm PST/9p EST, on the last Wednesday of the month. This is something that we're going to try and are open to the community's feedback through the year. The 2017, #hpm chat director, Meredith MacMartin is a palliative care physician, director of the inpatient clinical palliative care service at Dartmouth-Hitchcock Medical Center, and assistant professor of medicine at Geisel School of Medicine. 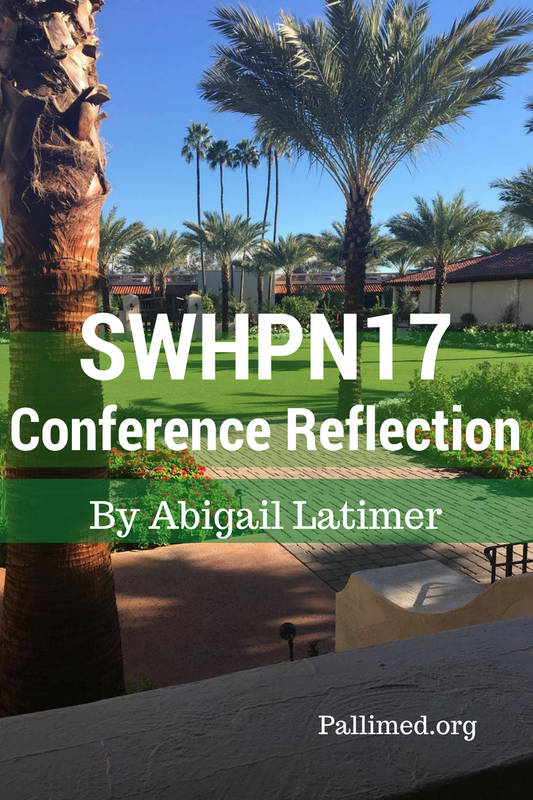 Meredith has been key in organizing new ideas for #hpm in 2017 and shared that she is most excited to be able to take a deeper dive into topics and present a forum to talk in depth about the issues in hospice and palliative care. Meredith, Christian and I have been actively discussing ways that we can be more inclusive to the larger community of people that are major contributors in hospice and palliative care but may not be active on Twitter. We are working to broaden opportunities to include more people in our conversations. Are you not on Twitter, but are interested in some resources and webinars about ways to get started? Sign up for some Twitter Basics resources here. Are you not sure about signing up for Twitter yet, but you are interested in the topics discussed at #hpm chat? Sign up here to receive occasional updates about the #hpm chat discussions. As Christian said, “taking time to to reboot and refresh is always good,” so with that #hpm’ers, we invite you to mark your calendars for our 2017 #hpm chats! If you come across articles or have ideas for upcoming chats, please share them with the team! Cheers #hpm'ers to a fantastic 2017! Happy tweeting, see you Wednesday! The week was full of encouragement to pursue research and take advantage of leadership opportunities with strategies and words of advice to guide you. We heard from Andrew MacPherson who reminded us to stay calm, there are positive conversations in Washington and time is on our side regarding changes with the ACA. We were reassured the calls to legislators and other political leaders helps and to keep “demonstrating the hell out of it” to see change. Myra Christopher and Susan Hedlund approached the all too familiar topic of PAD, reminding us to support our patients first and remember there are “good people on both sides of the debate.” Agreeing we all want to see changes in the way we provide care to those at end of life. The Consensus Project and efforts to establish Hospice and Palliative Care credentialing are well under way and we were asked to send our job descriptions to Dr. Barbara Head. The theme “there’s not enough of us” kept resonating throughout the sessions, leaving an open invite for advancement in our field, but also the overwhelming feeling of responsibility. Emerging leader Anne Kelemen, LICSW joined her colleagues Vickie Leff, LCSW, BCD and Terri Altilio, LCSW to end the conference reminding us our language has power. I desperately wished for my pen to magically absorb their knowledge as I frantically scribbled down their words. As social workers we are given the honor to hold our team members and other professionals accountable to recognize distortions, make the implicit explicit and remove the burden of blame from our patients and families. Also, don’t forget to look for the humor as the situations we deal with are absurdly difficult. 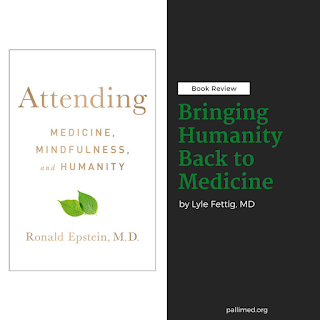 I, like many others, came to this conference wanting information, a new skill or technique to help my patients or ways to connect intra-professionally. However, I left- we all left- with so much more. I will move forward with the confidence to invite myself to the table to not only provide a knowledge and skill set but also to learn and respect other perspectives. 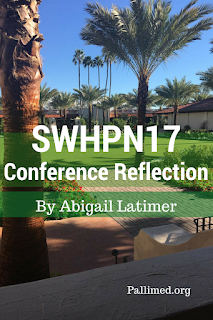 Of course this is easy when I know the supportive community of SWHPN is all in. My notes from the week reflect numerous ideas with strategies and potential supportive contacts. Generated ideas include hospital wide bereavement protocol, social work journal club, caregiver support group, methods of teaching my student and development of a social work student handbook. Ambitious? Yes. Possible? Absolutely. Not before mentioned, however, is the unquantifiable takeaways; the things you cannot quite put into words. The way I look at patients and families on day one post-conference has changed. The way I carry myself, the language I choose, the attitude and approach to each situation has evolved in such a way that my work will never be the same. I am happy about this, but mostly because the people I serve, will benefit the most. Abigail Latimer, LCSW is a Clinical Social Worker for Palliative Care at the University of Kentucky Hospital in Lexington, KY. She is currently researching the ability of case managers in a hospital setting to identify and respond to bereavement needs in a hospital setting and seeking her doctoral degree at the University of Kentucky College of Social Work. She is an avid health and fitness enthusiast and most recently had surgery to repair her shoulder following a wrestling injury. And yes, she was the wrestler. You can contact her at abbie.latimer@uky.edu. Reading Dr. Sacks’ farewell book with its mournful black cover was like going through a typical day on the job as a hospice chaplain. 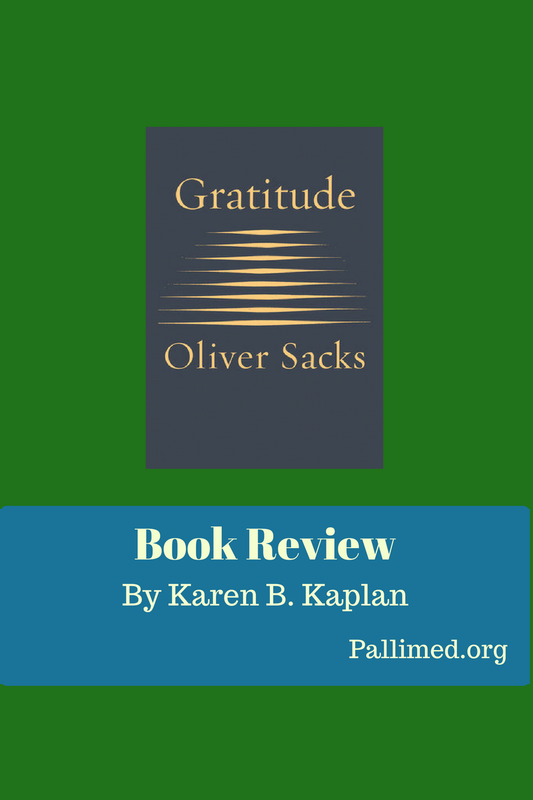 Just like my patients, this famous author, well-known for his medical narratives such as The Man Who Mistook His Wife For A Hat: And Other Clinical Tales lists his regrets, his triumphs, his hopes, and his efforts to make sense of the life that he had led. In a word, this book is about how he dealt with his approaching end. Many of us can relate to his regrets, which included wasting time, being shy, and not traveling more. He also hoped to love and work as long as possible; again, much as the average person might yearn for in this circumstance. He also mentioned his regret at not having learned a second language. The book was engrossing in so many other respects as well. Like his other works, he offers a distinctive view that makes it a privilege to saunter among his words. Who else would link the number assigned to each element in the periodic table with one’s age? He opens his essay entitled “Gratitude” by saying, “Mercury is element number 80….on Tuesday I will be 80 myself.” He goes on to say that when he was eleven years old that instead of referring to his age, he explained, “I could say ‘I am sodium.’” (Sodium is the eleventh element). Such an association alone should be enough to entice the scientifically minded and the intellectually curious to get this book. The last chapter is entitled “Sabbath.” Here he mentions his Orthodox upbringing, and his growing indifference to the practice of Judaism and finally his rupture with it when his mother utterly rejected him when she found out he was gay. Much later in life, he was introduced to positive experiences of the Sabbath and found he could enjoy its peace not only on the seventh day of each week, but on the “seventh” day of his life as well. Karen B. Kaplan has been a board certified hospice chaplain for eight years, and is currently serving Center for Hope Hospice in Elizabeth, NJ. She herself has captured end-of-life narratives from her patients in her book, Encountering The Edge: What People Told Me Before They Died. (Pen-L Publishing, 2014). Karen finds balance in her life by reading gentle science fiction (where the robots are friendly and not a weapon in sight) and teaching English as a Second Language. As an ICU nurse, I see the challenges of modern nursing as witnessing sicker patients undergoing extreme measures; attempting to extend the length of life but not necessarily the quality of life. ICU nurses have 24/7 intimate contact with their patients. More times than not, I have a direct hand in implementing these extreme, often painful measures, leading to moral distress. While most ICU nurses choose a Critical Care Registered Nurse certification (CCRN), I chose a certification with a primary aim to improve the quality of life for my patients and families: the Certified Hospice and Palliative Nurse (CHPN). Palliative care focuses on holistic care of patients and their families, including management of physical, psychosocial and spiritual symptoms, as well as communication about patient and family concerns and how treatment aligns with each patient's values and preferences. ICU patients have serious and life-threatening illnesses requiring advanced care. These serious illnesses and the intensive care they require can cause critically ill patients to suffer from a variety of distressing symptoms including pain, dyspnea, delirium, fatigue, and anxiety. This advanced care frequently transitions to end-of-life care. I regularly see patients transferred to my unit when other measures are exhausted, when we are the last hope against the inevitable. Witnessing these symptoms and the difficult decisions made during the transition can cause families significant distress and remorse. I have often said that I am a Certified Hospice and Palliative ICU nurse because many times my most critical care goes to the ones who are left behind. My certification in palliative care enables me to gently guide patients and families through the illness and the transition to end-of-life care. It allows me to simultaneously provide comfort and life-saving measures: concurrent critical care and palliative care, just as it can and should be. When I feel my patients and families aren’t getting the care they deserve, my CHPN credentials give me the knowledge base, confidence, and voice I need to advocate for them. My certification also serves as an outreach for hospice and palliative care. My name badge has a noticeable yellow card behind it that says “LORI, CHPN”. The purpose of the card is to easily identify a nurse’s first name and certification. I am often asked by my patients’ families what the “CHPN” stands for. In this death-avoidant ICU culture one might hesitate to mention the words “hospice and palliative care”. I do not. I proudly explain the meaning of my credentials and their purpose: to provide expert symptom management and to guide my patients and families through serious illness while focusing on quality of life. By the time I am asked what my certification means, they have already witnessed me working to keep their loved one alive. They have already begun to trust me and know my intentions are good. They have seen me celebrate the good news, encourage their hope, and wish for their miracle. They see me on their team, hoping for the best while preparing them for the worst. Year after year nurses are voted the most trusted profession. What better way to demonstrate the importance and the good of hospice and palliative care than to have more bedside nurses with CHPN credentials? 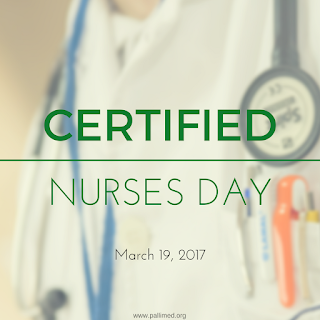 On this Certified Nurses Day, I encourage any nurse who cares for patients with serious illness and who would like to see more care focused on quality of life to consider certification in hospice and palliative care. I believe we can have a hand in changing the culture of healthcare. 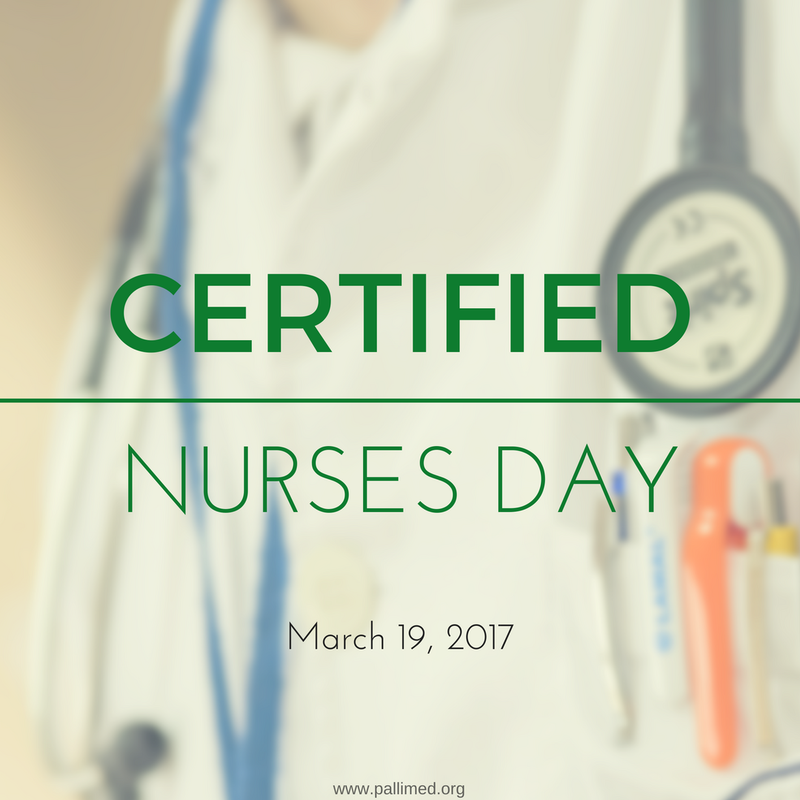 The CHPN is the preferred nursing certification of the Hospice and Palliative Nurses Association (HPNA). If you are interested in learning more about this certification and others offered, please visit the Hospice and Palliative Credentialing Center. Lori Ruder, MSN, RN, CHPN is an ICU nurse at University Hospitals Cleveland Medical Center, where she was the first ICU RN to attain certification in Hospice and Palliative Care. This certification has improved not only her care of patients and families, but also her job satisfaction. You can find her on Twitter @LoriRuder. We give so much of ourselves as hospice and palliative care service providers. And we grow accustomed to the moment-by-moment changes, depth of interaction, the poignant or blessed final goodbyes that characterize this work. Some of what we do feels very positive: the deep gratification of tending to the needs of people who are chronically ill or dying and to their families. But it can also be wearying for us; we do not offer our expertise in a vacuum, or as something-other-than-humans. We have personal lives, are subject to the vagaries of daily existence, embrace relationships with family and friends that need attention and care, engage chores to maintain our lives. Where in all of that is the refreshment? 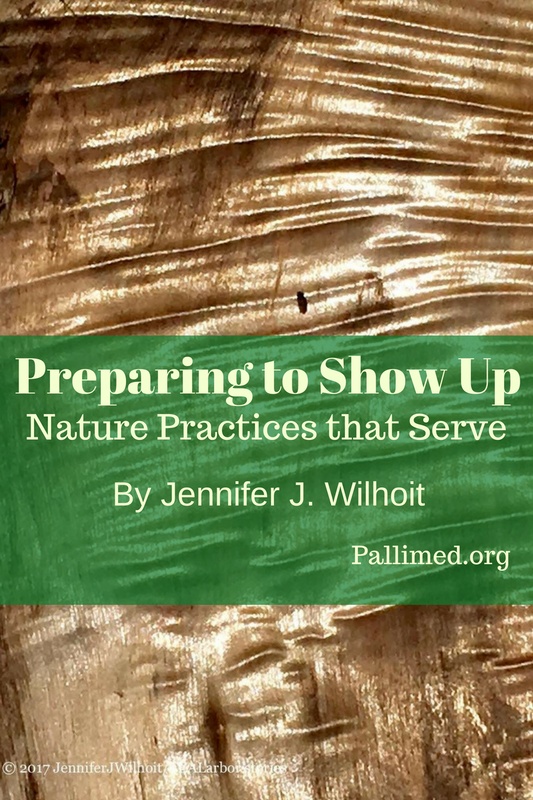 This article offers some very basic nature-based practices that we can use on a regular—if not frequent—basis with little preparation in moments in which we find ourselves: depleted, enervated, or in need of clarity. I have been a hospice volunteer for more than sixteen years, while also serving the deep needs of people in transition through my private professional practice. What I’ve learned from both of these endeavors is that showing up to “the other” in an engaged, dynamic manner is not only essential for them; I must show up to myself in such a way, too. We need to maintain a daily connection to fluidity in our lives. 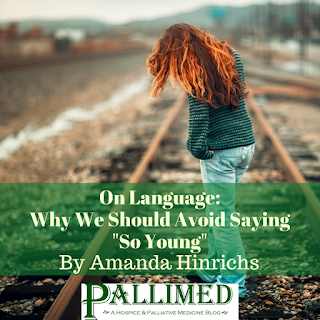 The series of articles I offer to readers of the Pallimed blog addresses precisely this; the piece you’re reading now focuses on ways in which we can remain vibrant via the natural world. They are not intended as a panacea, but rather as touchstones of nature as balm. Each can be done quickly, at the center of our busy workday. These practices can also be used, with modifications, directly in our daily interactions with those we serve. They are totally malleable: adaptable to specific needs and desires, flexible per the conditions in which you work and live. I recommend opening up a pause in your schedule and routine. These practices don’t have to take a long time or detract from our responsibilities. I have done many of these within moments of my next client appointment, or around the corner from the next hospice family. All of these small, simple acts can restore us, thus allowing us to really show up to ourselves as well as to those we serve. I offer them in three categories: practices that nurture, practices that inspire, and practices that offer insight. Sit in a comfortable place outside. Recall a time you felt especially calm in nature. 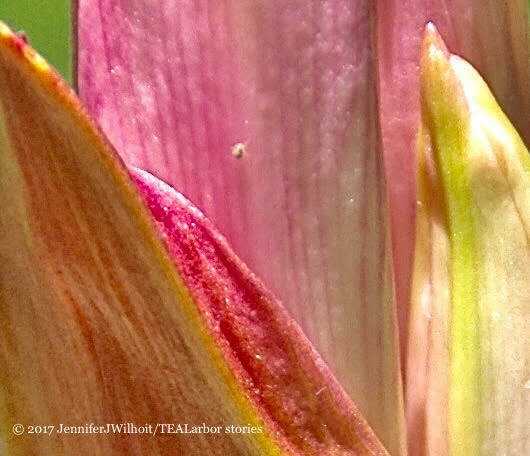 Take with you to patient visits: rose petals, smooth rocks, or a few shells. Offer an opportunity for touch or smell for those objects that are soft or fragrant. Consider leaving a small nature item with a patient, family member, or facility staff. Create something beautiful in nature, such as a circle made of stones or leaves. Bring nature inside your home or into your workspace. Photograph something inspiring in the natural world and carry it with you. Take some nature item representative of the season into your patient visits (i.e. colorful leaves, a bowl of snow, a vase of rainwater, spring wildflowers). 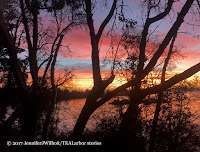 Share a beautiful nature photograph with your patients or family members. Read a short stanza of nature writing or nature poetry aloud to someone (this also serves you). Take a work issue on a walk or hike. Even a short, speedy walk around the block can lend a new perspective. 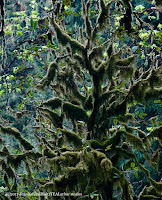 Focus your attention on a tree or favorite structure in/of nature as you contemplate a dilemma. Consider the four seasons and notice which one you are experiencing on your inner landscape today (e.g., emotionally, spiritually). 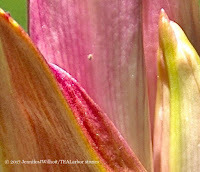 Imagine that: summer = flourishing, autumn = blaze of beauty, winter = rejuvenation or preserving energy, and spring = new growth. Take to a patient a small object from nature that they’ve spoken about. Maybe you bring inside something they can see out their window. 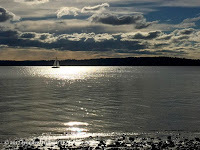 Offer a photograph of a landscape similar that in which a patient has lived. Spend a few moments talking with a patient about some object/image of nature they have in their room. The work we do on behalf of others—even out of passion and clear calling—does demand a lot of us. Please try these easy practices. Their power is in repetition, hence the word “practice.” Test out one on a daily basis; or try several over the next week. Modify them to suit your work schedule; most of all, adapt them to best meet your individual, nuanced, fluctuating needs from moment to moment. May you find yourself refreshed, inspired, clear-headed and clear-hearted as you go about your day. 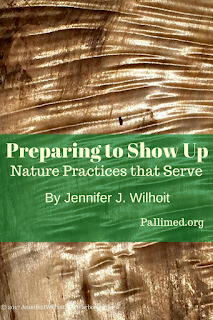 Jennifer J. Wilhoit, PhD is a writer, spiritual ecologist, & longtime hospice volunteer. She founded TEALarbor stories through which she compassionately supports people's deep storying processes. 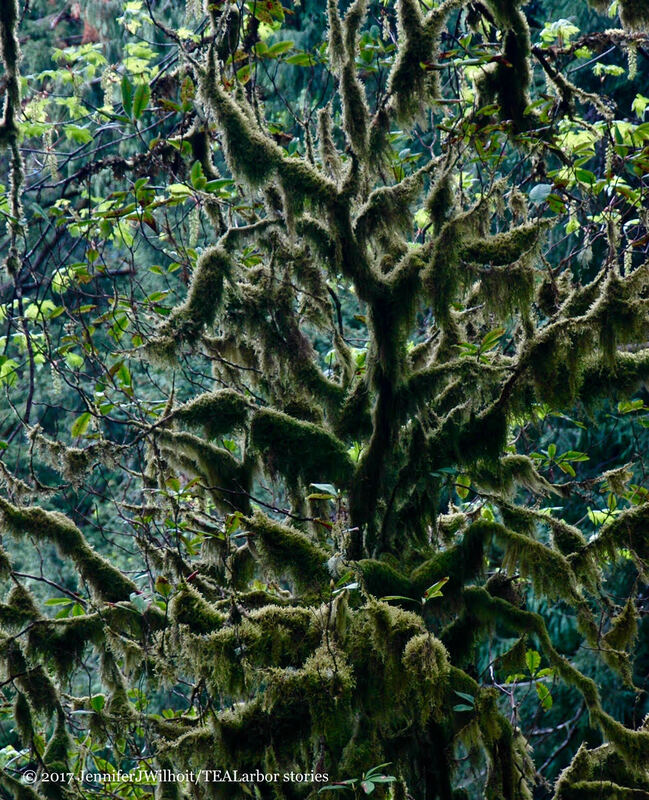 She lives on an island in the Pacific Northwest. You can find her on Twitter at @TEALarbor. 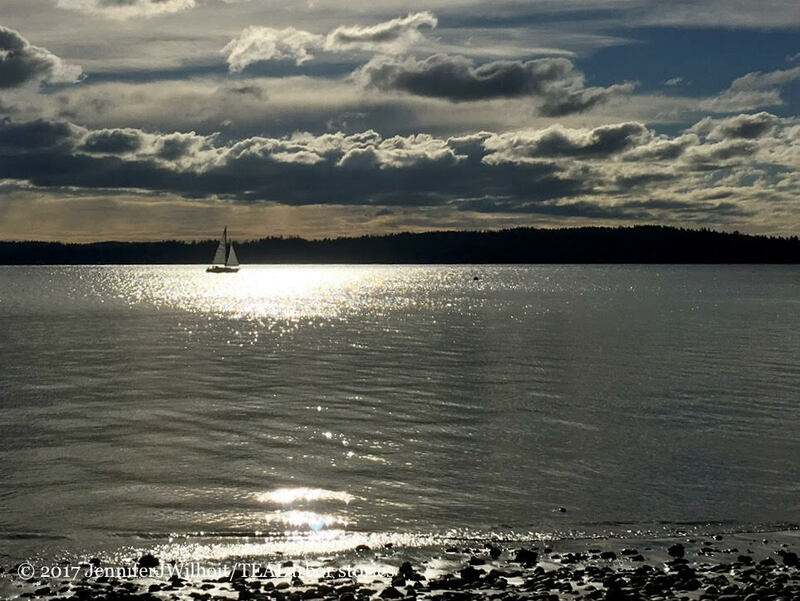 All photographs in this story are copyright @TEALarbor Stories.